Gabriel S. Estrada teaches at California State University, Long Beach. He specializes in Indigenous, Queer and Media Studies in Religion. 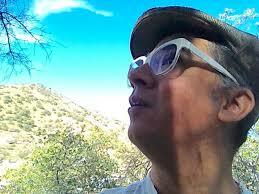 He holds a PhD in Comparative Cultural and Literary Studies from the University of Arizona,Tucson. A Steering Committee member in the Indigenous Religious Traditions Group of American Academy of Religion, Dr. Estrada has published “Navajo Sci-Fi Film: Matriarchal Visual Sovereignty in Nanobah Becker’s The 6th World” in Journal of the American Academy of Religion, “Cloud Atlas’ Queer Tiki Kitsch: Polynesia, Settler Colonialism, and Sci-Fi Film” in Journal of Religion and Film, and is currently working on a book manuscript Queer Indigenous Film. As a queer HIV+ scholar/activist and a Caxcan Nahua, Raramuri, Chiricahua Apache, and Chicana/o descendent, Dr. Estrada chairs the CSULB Committee on LGBTQ Campus climate and is a co-founder of the City of Angeles Two-Spirit Society (CATSS).